Mosquito protection at the push of a button! Summer is never any fun when you can’t get away from the BUGS! If bugs are bugging you, Thermacell has many solutions for you and your family so you can enjoy summer fun bug-free! 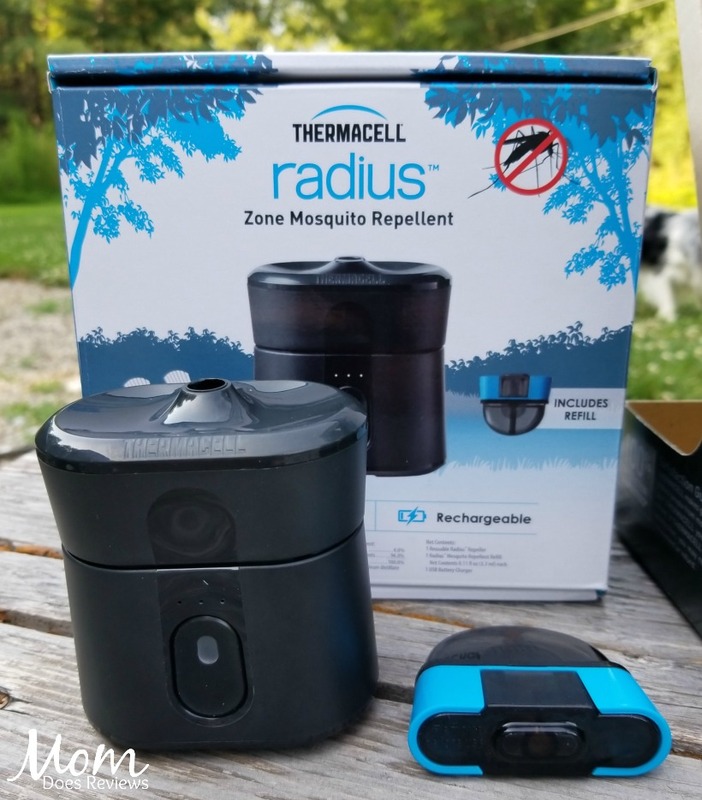 The easy-to-use Thermacell Radius Zone Mosquito Repellent is rechargeable, scent-free, compact, powerful, and operates with a single refill component. Powered by a Lithium-Ion battery (rather than fuel), Radius creates a 110 square foot mosquito protection zone. Radius is also air travel friendly, consistently operates at any elevation, and was voted Best Camping Gear of 2018 by Outside Magazine! 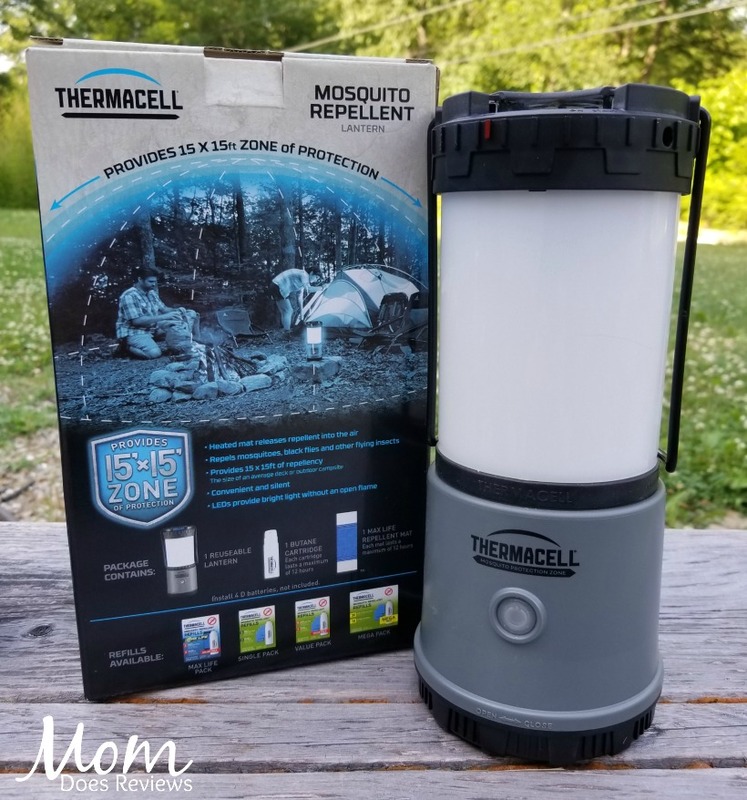 The Thermacell Pathfinder Mosquito Repellent Camp Lantern effectively repels mosquitoes by creating a 15-foot zone of protection. Its bright 225-lumen light and outdoor design make it perfect for camping, gardening, around the backyard, and more. 5-foot mosquito protection zone. Turn it on…Mosquitoes GONE! Package contains: 1 lantern and 12 hours of refills, 1 Max Life 12-Hour repellent mat and 1 fuel cartridge. If you are tired of swatting black flies and mosquitoes away while you are outside, Thermacell has a few solutions for you! The Thermacell Radius is a small, rechargeable, easy-to-use mosquito repellent. It doesn’t require any butane, batteries or other power source. Just charge it up with the included charger cord, push the button and you have 6 hours of a bug-free zone! It’s really quite amazing- I wasn’t sure it would work so well, but as we were out working in the garden, I only had to swat one mosquito! And that was in the first 10 minutes. No need to spray yourself with all those toxic chemicals, just use this Radius Repeller for hours of Bug-Free fun in a 110 square foot area! 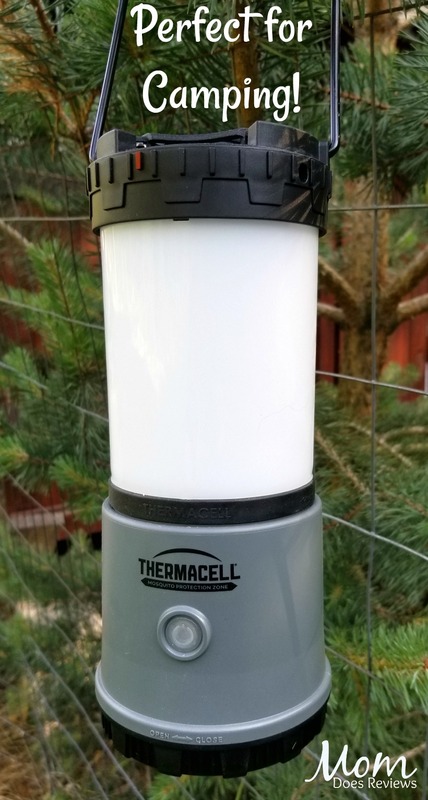 If you are headed camping and need a lantern as well as some bug repellent, the Thermacell Pathfinder Camp Lantern may be the perfect solution for you! You can use it as just a repellent- it covers a 15 foot by 15 foot zone, or you can use it as a lantern or BOTH! It comes with a small butane cartridge and repellent mat. Each lasts a maximum of 12 hours. Be sure to have four D batteries on hand for this lantern. 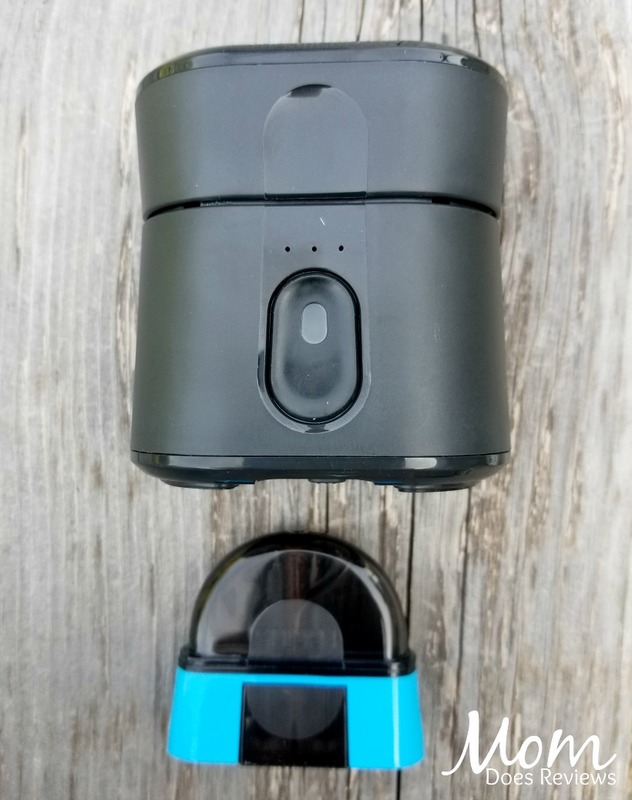 Don’t worry about running out of battery juice, it has a battery power indicator so you know how much battery life you have left. it even has 4 light settings: High, Medium, Low and SOS Strobe. We can’t wait for our annual camping trip so we can use our new Thermacell products to keep the bugs away! 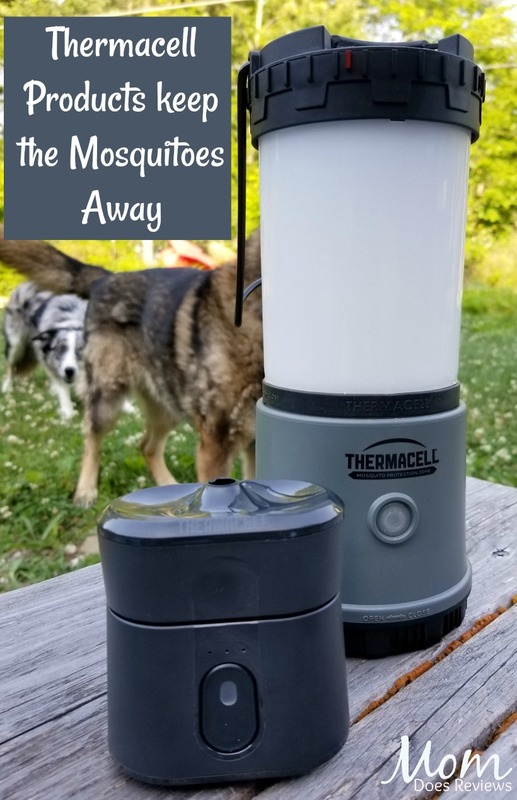 If you have a camping trip coming up or just want a bug-free backyard, go here to get your own Thermacell mosquito repellers! We have added Thermacell Mosquito Repellent products to our MDR Summer Fun Guide.